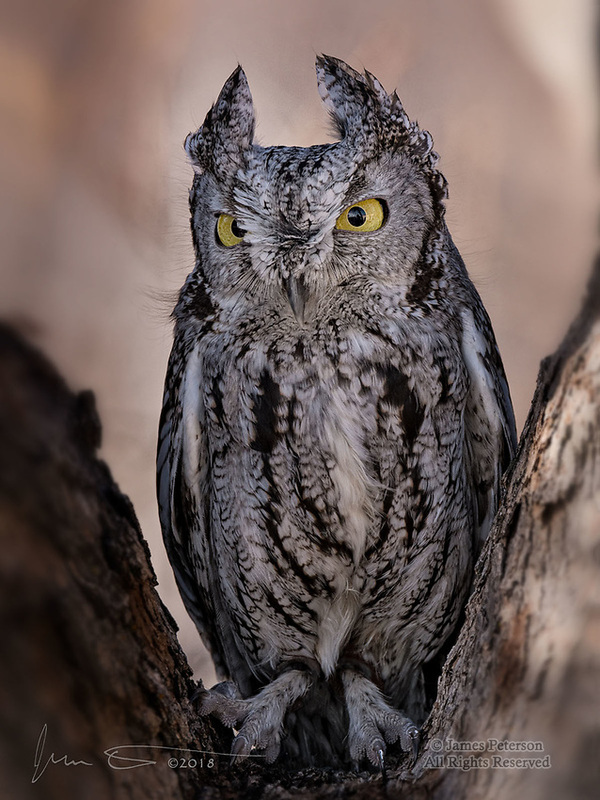 Western Screech Owl, Chino Valley, Arizona ©2018 James D Peterson. If you were a mouse, seeing this bird would make you very nervous. It is native to much of the western US and hunts mostly at night. This individual lives at Arizona’s Raptor Experience, a private shelter that cares for birds who are unable to live in the wild because they have been injured or have been raised by humans (often after being illegally stolen from nests).